This is the fourth blog in a week-long series to highlight the importance of disaster preparedness. Follow us this week as we take a look at how NOAA prepares for natural and human-made disasters, and how you can prepare for the 2018 hurricane season. Share your #DisasterPreparedness strategy by commenting on our blog, or replying to our Twitter and Facebook. Another hurricane season is upon us and with that, it’s time to think about how best to prepare for potential storms. Hurricanes and other severe storms can have devastating impacts on coastal communities, and the safety of you and your family should be the ultimate priority. Take some time to come up with a plan of action in the case of a hurricane in your area. There are lots of great resources on the National Weather Service’s website. Unfortunately, the wind, rains, and storm surge that can come with hurricanes can also result in a substantial influx of marine debris. Keep this point in mind when prepping your home for an upcoming storm. As long as it is safe and there is time to do so, move any loose items — from lawn ornaments to deck furniture — indoors. These items have the potential to blow away and become marine debris. For larger items that can’t be moved inside, make sure they’re secured carefully and tightly. If you own a boat, do your best to have it moved from the water and into storage. If that’s not possible, then secure everything you can, including lines and hatches. 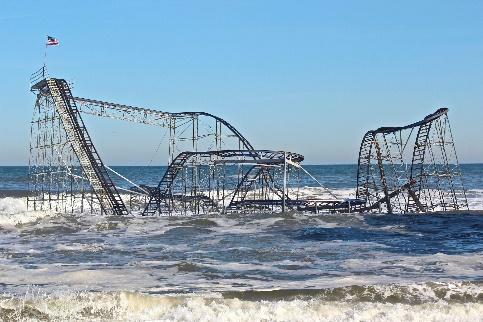 Sadly, some marine debris resulting from severe storms is unavoidable. 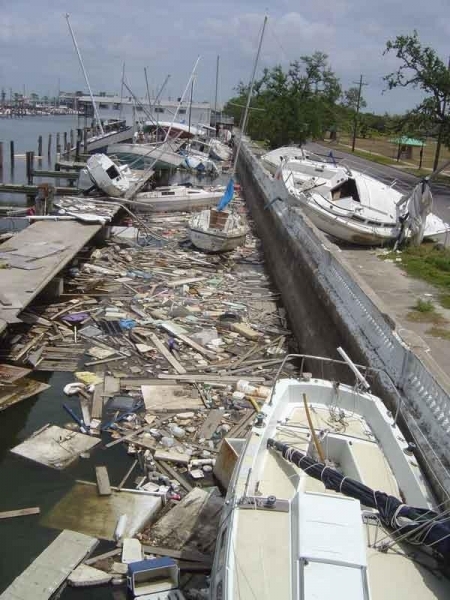 Natural disasters such as hurricanes can easily result in debris such as abandoned and derelict vessels, construction debris, and household waste. To most effectively address this storm debris and to mitigate its impacts as much as possible, the NOAA Marine Debris Program is facilitating response planning efforts in coastal states. 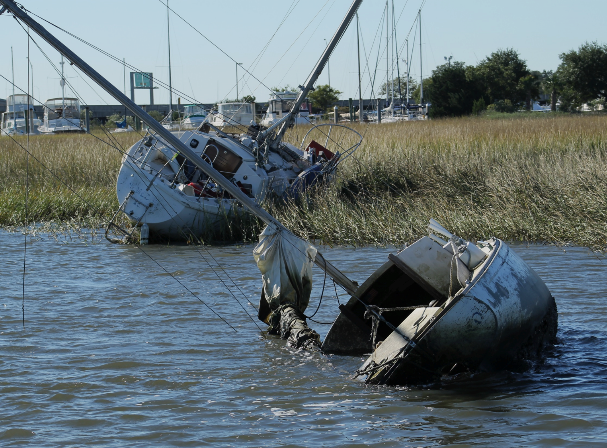 Through a highly collaborative process with local, state, and federal agencies, response guidance documents are being developed, aimed at improving preparedness and facilitating a coordinated, well-managed, and immediate response to acute waterway debris incidents. These efforts work to outline existing response structures at the local, state, and federal levels, capturing all relevant responsibilities and existing procedures into one guidance document for easy reference in order to facilitate the most effective and smooth debris response operation.